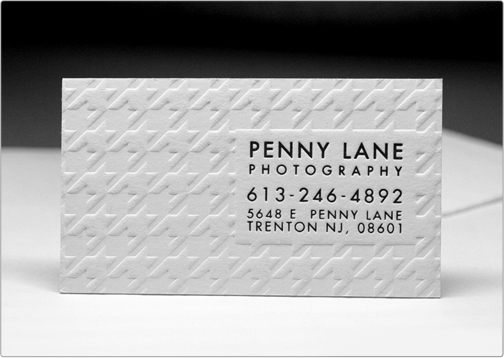 The Penny Lane cotton card includes a clean debossed pattern within the soft cotton stock to form a truly minimalist and classy business card. Specs: standard cut white cotton bc/ 1 ink 1 side/ blind deboss 1 side. This Taste Template is designed for complete customization. 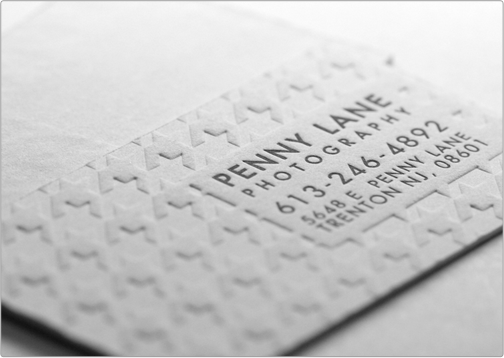 Personalize the card with your content & customize it by adding additional artwork (color palette, logo, etc). 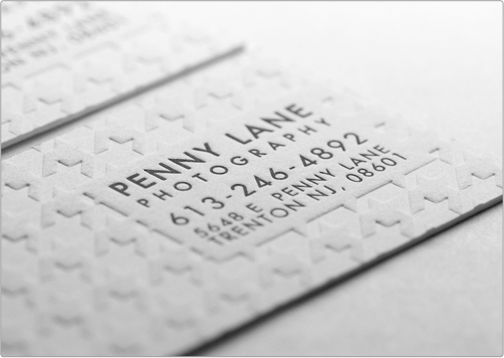 After your order has been placed online, you will be emailed a ‘free design proof’ within one to two business days. Also, Taste of Ink provides free Continental USA shipping for each Taste Template. Printed and shipped in approximately 12-14 business days. Select location and add shipping address. Shipping outside of the Continental US will increase turnaround time by 5-10 business days.